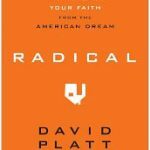 Sometimes a book comes along that ought to be read by every Christian. Old Light on New Worship is such a volume. Author John Price, a Reformed Baptist minister penned Old Light in 2005. It generated controversy in some quarters but was welcomed in others as very serious study of the role of mechanical instruments of music in the worship of the church. I am among the later group and I passionately commend this book to your study. In 2010 we published Church of Christ Music: What’s the Big Deal About a Piano Anyway? It stated our firm belief that the only instrument permitted in Christian worship is the human voice. Anything else is a human addition and novelty. Price reinforces our judgment and confirms the thesis of our article. Price began the studies that led to this book because of a recurring question. Why, Price wondered, did some churches in his faith demand only the piano while others used a growing number of mechanical instruments? I do not think Price expected to end up in opposition to the instrument. “To bring them into the church is to transgress the authority of Christ in His worship” (pg. 228). Price is clear that while the instrument was used in Temple worship, it was tightly regulated by God. “When we come to the New Testament, the following three truths become clear: 1) The Old Testament Temple worship in all of its outward ceremonies and rituals has been abolished; 2) We must look to Christ and His apostles alone for the worship of the church; and 3) With no command, or example, or any indication whatsoever from the Lord Jesus that he desires musical instruments to be used in His church, we have no authority for their use” (pg. 54). “We have introduced into churches a type of laborious and theatrical music, a confused chattering of diverse voices such as I do not think was ever heard in the theatres of the Greeks or Romans. They perform everything with slide-trumpets, trombones, cornetts, and little flutes, and with these the voices of men contend. Men run to church as to a theatre , to have their ears tickled” (pg. 86). “What a degradation to supplant the intelligent song of the whole congregation by the theatrical prettinesses of a quartette, the refined niceties of a choir or the blowing off of wind from inanimate bellows and pipes! We might as well pray by machinery as praise by it” ( pg. 133). Price observes that leaders of almost every protestant faith group has opposed the addition of instrumental music in the worship of the church. In the present day, the churches of Christ stand almost alone in demanding a pure worship with simple singing that comports with New Testament teaching. But Price, a Reformed Baptist, never alludes to the churches of Christ nor quotes any of its scholars or authors. His work depends heavily on research from Presbyterian John L. Girardeau in Instrument Music in the Public Worship and he often quotes religious leaders from throughout the protestant realm. In other words, this is not a “Church of Christ book” promoting some aspect of doctrine, but instead a man outside of any group that opposes the instrument. He reaches his decisions based upon a thorough study of the Bible. 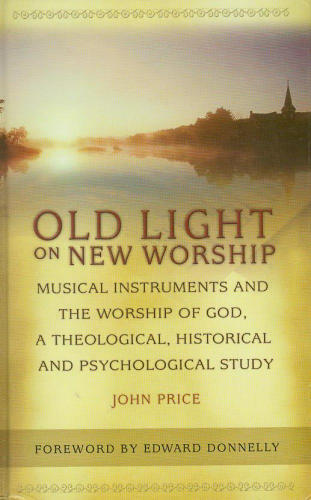 Old Light on New Worship is hardbound with 256 pages of well documented and footnoted material. He includes an extensive Bibliography and index as well. I suspect I would differ with Price on some issues but on the matter of mechanical instruments of music in the worship of the church, I fully agree. I encourage you to buy this book for yourself and also buy a copy for your preacher. It is an excellent piece of scholarship. Some people have very strange ideas about what worship actually is. From my reading of the bible worship is really about adoration and reverence. Worship pleases the heart of God because we relate to Him in appreciation. Reverence is in the heart and not in the loudness or softness of the music. Now King David did use rams horns and large clanging symbols didn’t he? He also danced half naked before the Lord. Now that’s in the bible isn’t it? I would recommend to the readers and your congregation to worship God. A seminar perhaps “Getting down with Dave.” I’m not a fan of stripping off like Dave, but hey if it pleases his heart as it seems to please God’s go for it, although I don’t object, personally I feel a bit uncomfortable about it so you won’t catch me doing it. Now really, seriously, Dave didn’t have electric guitars back then they weren’t invented so I encourage the church not to go making doctrines about excluding them from the church. Let’s get back to the heart of worship please which is adoration and reverence of God from the heart. If people want to be loud soft or otherwise God loves it and so do I. It never ceases to amaze me about how the church tries to make the simple so complicated. Wow it was in God’s heart to create music wasn’t it? I imagine God might have made a mistake allowing the guy that was responsible for making the harp from which the guitar came back in the Old Testament. It seems if the guitar flowed from this that God is responsible for the loud music. Should we blame Him? Please forgive me in advance if I offend anyone. “It is much easier to ask for forgiveness than it is to get permission.” Allan Meyer_ Church of Christ pastor. From your comments I can tell you have not read the book. He answers all of your comments. Price focuses on the worship of the church. He notes the differences between the Old and New Testaments and carefully notes that every instrument used in the Temple was specifically authorized by God. And even if no such authority was found in the Old Testament, we live and worship as Christians under the authority of the New Testament. Your references are not associated with the Temple/Tabernacle worship. David’s dancing for joy was not a part of the Temple/Tabernacle worship. The items he personally used were not part of the worship. As a member of the tribe of Judah he could not serve in the Temple/Tabernacle nor could he himself offer sacrifices. Nevertheless, the fleshly practices of the Old Testament ended with Christ. It is not I creating new doctrine but those who have brought the instrument into the worship without a scintilla of authority from Scripture. The simple vocal singing of the original Christians has been supplanted by talent-oriented productions of complex orchestras and production companies. I would beg you to read the book. You will find many of your concerns answered. If you cannot find the book, I will send you a copy. I understand it is still in print but not widely available. I have read Price’s book and I admit that it is well written. It certainly will tickle the ears of those who believe their worship is more pure and holy by the sheer fact that they use voices alone. I know many feel quite proud that they have keep apart from the winds and currents of their surrounding popular culture. My main gripe, though, against the arguments made in Price’s book is that the various parts are somewhat contradictory. In the first part of the book we are given a cogent argument for the modern regulative principle of worship—that is, while most agree that God regulates all worship, the iconoclasts and dissenters, and the streams that have sprung from that tradition, use the fallacy of ‘negative inference’ to assume that nothing but that which is explicitly commended by God is allowed in Christian worship. Aside from this being self-referentially incoherent, it confuses a few points. For while it is true that Old Testament worship has ended, and with it the instruments associated with the temple, Price assumes that therefore instruments have ended in total. However, it is not necessarily true that the use of instruments must be seen as a continuation of the Old Testament pattern. Most thinking Christians know that the old has past and the new has come—we are now the temple and together we are the instruments of true worship. Yet the question remains: can we the true instruments of God, making melody in our hearts, use instruments? Again the traditional answer from puritans and those who have sprung from this tradition give the solid answer: no. With almost Maricon-like rhetoric we cast the instruments along with the Jewish worship as merely ‘fleshly’. But is it so? In part two, Price gives us the history of worship in the church, and though we all know that our authority does not emanate from history but by scripture, we are here to conclude that the church has always been against instruments. Here Price somewhat disingenuously stacks the deck against instruments. Stripping sound-bites from various people without understanding the context for their remarks—and in spite of the fact that we don’t agree with them on most other points—one is left wondering what all this special pleading is for. Should I regard these same voices on other points of doctrine? Or are we just digging around in history looking for quotes to agree with us when scripture won’t come to our aid? In the end last part of the book Price offers a speculative account of the psychological effects of instruments, offering the woes to deleterious effects of music—all the while missing the fact that the same could be said against plain singing. Basically, he is trying to fend off the subjective, affective portions of music, while encouraging the more sober, reasoned purposes in corporate worship. While I agree we must worship with our minds, I disagree that this means ‘no instruments’. Why the either/or? So by the end we are still left with the same perennial question: what does the New Testament say about worship in the church? I think all thoughtful Christians should consider this question soberly, for our God is an all-consuming fire. But do not be taken captive by those who invent laws using fallacious logic. Do not be bewitched by those who suggest that everything done in the first century somehow trumps the advances of the gospel into new times and places. Our pattern is Christ, not the austere dictates of mere men. I understand that this is a heated topic, and that there is very little hope for agreement on all sides, but let’s try to be honest about why we are saying what we are saying. Let’s try to be clear about the presuppositions that gird our lofty claims. There are many groups who offer worship in variegated ways, yet each seeks to be faithful to God and His word—why, I ask, must we fight against one another when we both seek to honor the same Lord and savior?! Thank you for reading and offering your thoughts. Please strive to avoid name-calling and just present your facts. I would appreciate it. You speak of negative inference as being self-referentially incoherent. Can you explain exactly what you mean and how that is the case? I hate to put words in Price’s mouth but I think he would say, and I would agree, that God is the only authority in worship. Man is not. Where God has specified something, singing, it excludes all other like additions. It would seem that if you wish to disagree with that the onus would be upon you to show from Scripture where God has allowed man to bring anything else to the worship. Now you make a good point about history. We do not find authority from any history other than Biblical. What the Reformers said is certainly not inspired nor did Price claim that it was. I think, and here I go putting words in his mouth again, Price is trying to show that the mechanical instrument has not always been accepted in worship and is a rather new addition. I do not agree with the Reformers on all points. In fact, I guess there are few that I share a full agreement with. But he is not trying to use history for authority but only to demonstrate that there has been, in the past, strong opposition to mechanical instruments even from among those groups that today defend them. I think the psychological effects are probably the weakest point and I would have left them out had I been the author. In the end, you are right, we are left with the same question we began with: Does it matter how I worship? I suspect we would agree that it does but would disagree on the degree to which that should be applied. I obviously think the particulars of worship matter because of what God has said and what he has not said. You well know that our discussion is not about the dictates of mere men but instead about the proper interpretation of inspired Scripture. Every bit of this question must be settled on the Scripture only. What men desire in worship is not nearly as important as what God desires. I do want to thank you for your comments and look forward to your reply. I will be out of town for about a week and my access here may be a bit slow but I will be watching. In regards to negative inferences and being self-referentially incoherent, let me offer a few thoughts. Much of our causal reasoning, whether on blogs or in books, is stated as mere enthymemes—that is, we suppress one of the premises of our argument for rhetorical effect. We are usually able to do this because our readers generally agree that the suppressed propositions are true. It is often on the level of these unspoken assumptions that our arguments actually hinges. Some that fail to catch these hidden assumptions may actually be swayed by the appearance of a logical form to the discourse. As I said earlier, I’m interested to tease out these hidden assumptions. In part one Price states his reading of the regulative principle of worship. I say ‘his’ because the Reformed tradition has a wide variety of interpretations regarding this principle—from singing psalms only to the use of instruments as a circumstance of worship today. As a Reformed Baptist, Price has basically the same theological and epistemological makeup as do we in the churches of Christ. His basic enthymeme then is: We read in scripture a church which sings—therefore we are to sing. To make a negative inference from this is to jump to the opposite conclusion, that instruments are thereby proscribed. It is a non sequitur—it doesn’t follow. Absence of evidence is not evidence of absence! But to keep this from simply being an enthymeme we must arrange this as a syllogism with valid form and true premises. My guess is that this debate would change dramatically if we would take the effort to construct real arguments. Otherwise, I’m willing to bet that this will end up as always with one side dogmatically claiming some proposition to be true. In the end this is a hermeneutical debate. What is the Author’s intent in the New Testament regarding worship? Are the examples and exhortations to sing meant to be specific over and against other elements which might otherwise be included within such an activity? These are the questions upon which we actually disagree. These questions are in turn colored by our general view of God, our general understanding of history, and our conception of the purpose of worship. Is singing in worship to God only for God’s benefit? Or is there a horizontal element to our worship? If so, what are the implications to how we rationally, corporately communicate our praises? For our view of history: are we to view all changes beyond the first century as necessarily steps away from true Christianity? As for being self-referentially incoherent, the regulative principle, as described by Price, is itself not positively found in scriptural. By its own logic we should not use it. Now of course there are many verses that could be aligned to allude to such a concept, but it is not itself scripturally mandated. While we all know that we are not to go beyond scripture, it begs the question: who is going beyond what is written? Those who add commands against something, or those who allow some variation on the theme of singing? Part two regarding the history of this debate is also self-referentially incoherent, for you do not have people in the early church seeking to restore. You do have people being devoted to the apostles’ teachings and being faithful to God’s Word, but it would be question begging to assume that for us to follow along the path the traced that we must therefore advocate singing-only. These two parts are also incoherent when placed side by side. For from all of the quotes from the first few centuries of the church against instruments, none of them use anything close to a regulative principle of worship—that is, none of them use Eph. 5:19 or Col 3:16 to suggest that we are commanded to sing only. My main concern in all of this is not to convince you that you are mistaken, but simply to suggest that there are many ways of framing this dispute. I believe that most people on either side of the issue sincerely seek to be faithful to God and His Word. I believe that people on both sides believe that they are not just catering to their own tastes, though I suspect that to some extent both sides do what makes sense to them in their context. For instance I doubt strongly that people in the singing-only camp will agree to sing songs in a style too far reaching from their traditional style (even though they would hypothetically agree that style is not mandated by scripture). I also believe that both sides have their pitfalls. Whereas the singing-only group may neglect being creative, passionate, and timely–becoming like old-English to the ears of the young—those who use instruments, on the other hand, certainly run the risk of degrading into merely superficial, sentimental amusement. We actually agree on much of what you have just said. And let me be clear, I too agree that those who use the instrument are passionate about their love and adoration for the Lord. It seems the core of your thoughts come down to the viability of the regulative principle or something like it. Of course there is no command, in so many words, to use the regulative principle. But the Bible seems to be filled with a multitude of examples of where God commanded a thing and expected it be carried out precisely. As for singing we should ask if playing an instrument is simply a variation on singing. My concern, and yours too I am sure, is to be pleasing to the Lord. So where then do we draw a line? If there is nothing like the regulative principle then are we left to worship as we see fit? I look forward to your answers and thoughts. I certainly believe that scripture, read in the context of the church as church, must be our guide for correct worship. Without going verse by versus let’s just list a few things that I would think we agree are obvious. Formal corporate worship should be intelligible and focused on Christ and the gospel story. Worship must help facilitate our orientation and reorientation to God and to a godly relationship with others. True worship convicts and judges, it brings blessings and curses. True worship teaches and exhorts. True worship explicates biblical truths for practical use. But, okay, we agree on that—but how do we know that what we are doing is itself biblical? First, I agree that God has often given very specific commands and expected his people to obey them perfectly. This certainly has not changed. But what I am asking is this: has God given such a specific command in relation to singing-only? Or have we, even in part, read that into the text? Has God given us here a specific command, or are we adding it because we think it would be chaos without it? I have seen many things that I believe are not appropriate in worship, and I’m quite sure people will dream up all kinds of new things that they want to add into worship in the future. To these things the question remains: How does this honor God and not just man? How does this express all of God’s truth and not just our pet doctrines? How does this communicate God’s story that we are to live day by day? How is this helping us to love one another and God and to become more like Christ? If any of these biblical conditions are not being met in a healthy way, then I would be wary that we have idolatry on our hands and not true worship. We should all be wary of idolatry! For idolatry can lurk anywhere and in any form of worship. Thanks for your thoughts Ryan and my apologies for the tardy approval of your remarks. I will respond shortly. I agree with your agreements but would add that God is the ultimate focus of worship and his glory ought be foremost. Your question is quite on point. How do we know anything is Biblical? We must always guard against making Scripture say what we want. 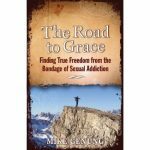 Our task must always be to search for and know what God actually intends and desires. The Creator is certainly capable of communicating. The question is whether we are listening to Him. There are very specific commands in Scripture, we agree on that. I think the root question here has to do with how God commands. Does he only accept/desire what he specifically commands or is man allowed to do anything that is not specifically prohibited. Would you agree that that statement is to the point? Let me offer two propositions which we can affirm or deny. 2. God accepts all things in worship except that which he has prohibited. I affirm the first. I do so because as I study the Bible I note the precision with which God has ordered his worship. I see the precise plans for the ark as evidence of his precision and insistence on obeying him fully. In worship, I think the Tabernacle/Temple worship demonstrates a God who leaves nothing to chance but specifies what he wants. There are other examples but for time I will move on. I deny the second proposition for at least two reasons. One, there is no record of God ever acting that way in worship, instead he was always precise. Second, to require a prohibition of every item not desired would be a near impossibility for man to know. How many things would God have to specifically prohibit? Otherwise, worship would be wide open to the desires and opinions of every individual worshiper. Now, I sure do not think you are saying that but perhaps you see my point. Such is just not able to be done. If we are in agreement thus far, we must ask if “sing” is intended as a command which excludes anything else. I would say yes. “Sing” is specific whereas “make music” or “make melody” is generic and would permit the use of instruments. Of course Ephesians 5:19 uses that phrase but specifies it is in the heart and not external. I’ll stop here and wait for your thoughts. I’ll try not to be so tardy next time.